Arrival at Pisa Airport and Transfer to Hotel in Florence . In the morning visit Basilica di San Lorenzo with its Medici Chapel. Afterwards visit of San Marco. 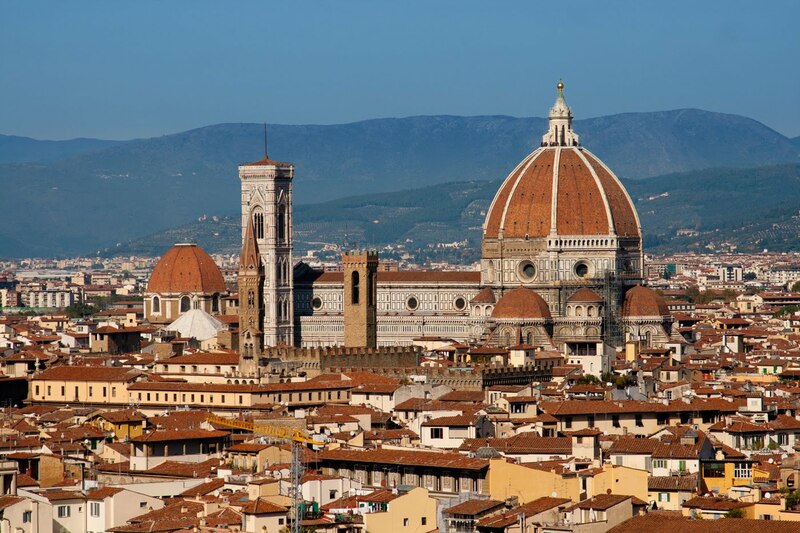 San Marco is the name of a religious complex in Florence, Italy. It comprises a church and a convent. The convent, which is now a museum, has three claims to fame. During the 15th century it was home to two famous Dominicans, the painter Fra Angelico and the preacher Girolamo Savonarola. Also housed at the convent is a famous collection of manuscripts in a library built by Michelozzo then on to the visit of the Galleria dell’ Accademia, famous for the Michelangelo’s Sculptures. A must is also the visit of the Duomo and the Baptistery! Walk to the Santa Maria Novella church. During the day lunch in a local Restaurant. Free dinner. Overnight stay. Michele occupies the site of the ancient forum. Traces of the amphitheater can still be seen in the Piazza dell’Anfiteatro. Lucca was the site of a conference in 56 BC which reaffirmed the superiority of the Roman First Triumvirate. Return to the hotel in Pisa. Free Dinner and Overnight stay. Breakfast in hotel . Free time until departure transfer to airport Pisa.